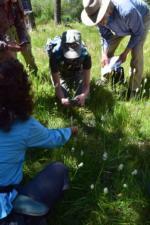 Share your California Naturalist Story! We all came to be a California Naturalist through different avenues and motivations. We all have different life experience, perspective, and talents we bring to the Californian Naturalist community. And yet we all have a keen interest in nature in common. In pictures and words, we want to share your short CalNat story.